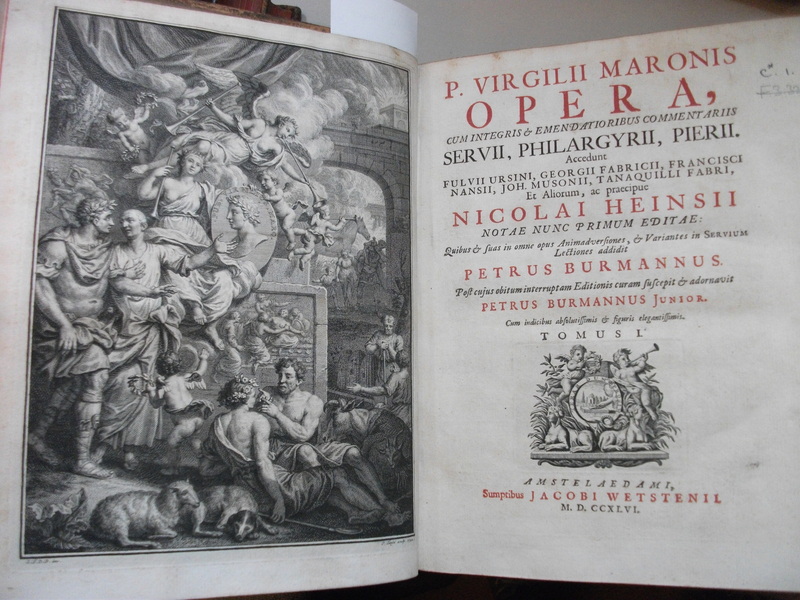 I recently catalogued a four-volume set of the works of Virgil, edited by Peter Burman, and printed in Amsterdam in the 1740s. It’s in lovely bindings, and has a very swanky title page, complete with an engraving by someone with the initials L.F.D.B. whom I’m struggling to identify, so if anyone’s got any thoughts, please feel free to comment! The fact that these books have nothing whatever to do with law have endeared them to me indefinitely, in spite of the fact that whenever I espy anything to do with Virgil I have to suffer through Latin GCSE flashbacks, which vary in severity but are always painful. It might be difficult to read, so here’s what it says: Dear Hildyard, Whist will be performed at my rooms on Friday next as heretofore. –Your presence is solicited, by yours truly, Jos. Romilly. I love finding stuff like this in the older books that I catalogue. For me, it’s miles better than any old marginalia precisely because it reveals nothing at all about the content of the books, nor what the reader thought of it; rather, it reveals something personal, something intrinsically human, about the poor chap poring over these heavy volumes. A bit of digging and, thanks to Venn, I found out who these blokes were. One is Rev. Joseph Romilly, of Trinity, and the other Rev. William Hildyard, of Trinity Hall. Romilly came up to Cambridge in 1808, and after an illustrious career as a student (he was 4th wrangler), became a Fellow of Trinity. Hildyard, a little younger and a good Yorkshire lad, came up to Cambridge in 1813 where he too matriculated at Trinity, before migrating over the street to Trinity Hall to become a fellow and a tutor. I started to wonder about these chaps, and how they met. I like to think of their eyes meeting across a pint of ale in the local tavern, and there being a moment when they knew–when they just knew–that they’d met their whist soul mate. Gone were the days of w(h)istfulness, the future would be bright. That’s probably a bit too Grey’s Anatomy to be true, and it’s far more likely that they met in Norwich when both were ordained deacon around the same time–an occupation which probably completely scuppers my ‘met-down-the-pub’ theory. It’s little wonder, if this is what a good game of whist does for you, that these guys played so often (more supposition, I know). And it’s the last of the bullet points in particular which made me think of Romilly and Hildyard–the good manners evident in Romilly’s little note seem to corroborate it. 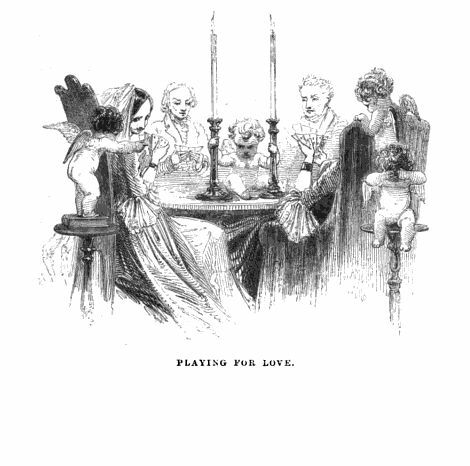 Whist is going to be “performed”, he says, making it seem rehearsed, planned out, and prearranged, as if the very act of playing itself is going to achieve something. Hildyard’s presence at this game is “solicited”, which on the surface seems so formal, yet beneath this there lurks a little hint of cheekiness and humour. It’s almost as if Hildyard is going to be accosted should he fail to put in an appearance, which I presume he did. The note is, simply, the equivalent of our “be there or be square”. 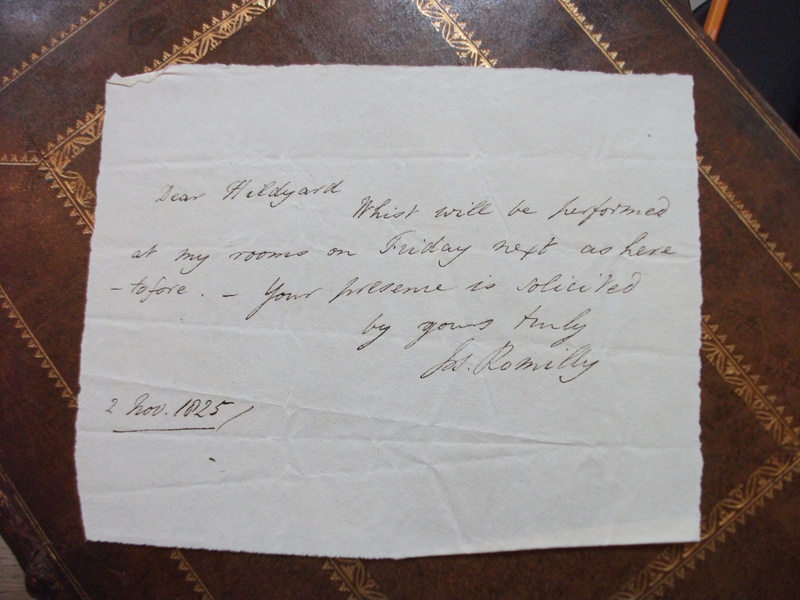 It’s possible to imagine Hildyard receiving this note, in the middle of a verse of the Aeneid, and being pleased at the opportunity to procrastinate a little, to see friends and perhaps assert his superiority at the game. 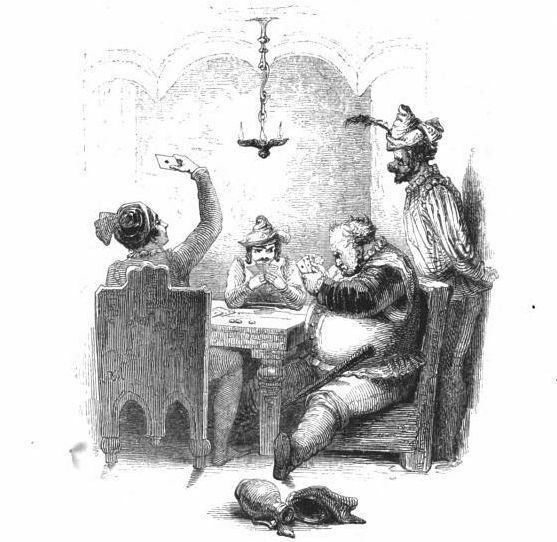 Perhaps he thought that the note would make a good bookmark; perhaps he wondered whether he ought to take a bottle of wine along with him to Romilly’s rooms; or perhaps, on receiving the note, he got out his deck of cards, shuffled them in that fancy way that only experienced card players can, and practised a couple of his sleight of hand tricks to ensure that victory, Friday next, would be his. Though somehow I doubt it! Venn, of course, where would we be without it? And of course: “An Amateur” (1844). 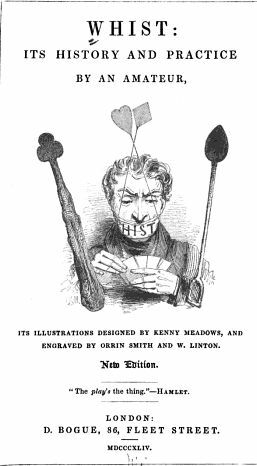 Whist: its history and its practice. London: Bogue of Fleet Street, from whom I also stole the cartoons. This entry was posted in The books themselves and tagged Hildyard, manners, notes, Romilly, Virgil, Whist. Bookmark the permalink. ← Catch 22? No thanks, I’ll pass. Thanks ever so much–that’s REALLY useful!